If you have ever seen The Sound of Music in any of it's various incarnations then you have heard the story of Maria von Trapp. But do you know about the real woman who was the inspiration behind this timeless classic? Well the hills will be alive atState Theatre New Jerseyon December 22-24. Join us for a new production of the classic The Sound of Music and see how it's compared to the story it's based on! 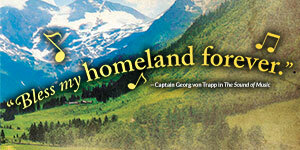 The Sound of Music tells the story of Maria and the von Trapp Family. In the musical, Maria and the von Trapp's sing many adored songs including, “My Favorite Things,” “Do-Re-Mi,” “Climb Ev’ry Mountain,” “Edelweiss,” and the title song. In the musical, Maria plays a prominent role in the von Trapp household acting as the children's governess and later as their second mother and Captain von Trapp's wife. However, this is the movie and musical story, what about the real story? Let's take a look. Maria was born January 26, 1905 on a train headed to Vienna. Soon after her birth her mother passed away and her father also died just six years later. Maria was sent to live with her uncle who was an atheist and passionate Socialist. Therefore, although Maria had been baptized by her parents, she grew up without the presence of religion in her life. However, this all changed while Maria was studying at State Teachers College for Progressive Education in Vienna. Maria discovered religion, converted to Catholicism, and to make up for her lost time without faith, became a candidate for novitiate at at Nonnberg Alley in Salzburg. In The Sound of Music, Maria was the von Trapp family's governess,however, in real life, she was a tutor to daughter, Maria von Trapp. 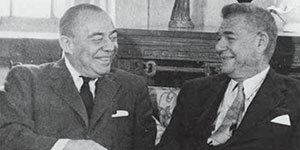 Maria lived with the von Trapp's for ten months and during her time there built a strong relationship with all of the children, and Georg von Trapp fell madly in love with her. After her ten months with the family, Maria intended on going back to the covenant, but Georg proposed asking her to be his wife and the second mother to his children. Maria said yes, but with some hesistation; she later stated that she was not in love with Georg when he proposed. She liked him, but she mentioned that if it hadn't been for the children she probably would have said no. However, Maria also later noted that she fell deeply in love with Georg after a while. Later in life, Maria wrote a novel about her experiences with the von Trapp's and their escape to America. Her book eventually turned into the Broadway musical and the film that we all love today. So come on down to State Theatre New Jersey for The Sound of Music on Fri, December 22, 2017 at 8pm, Sat, December 23 at 2pm and 8pm, and Sunday, December 24 at 11am! 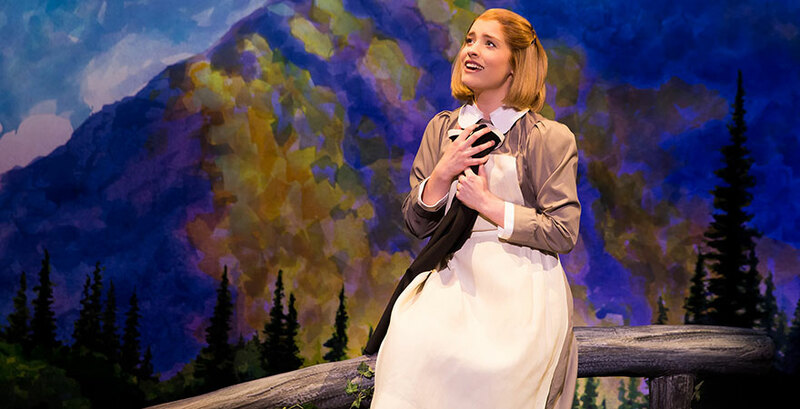 The Sound of Music is a holiday essential that you don't want to miss!